Julie Casiano, second from left, talks about what a blessing her new occupation is as The Meal Prep Life owner. With her during a ribbon-cutting for her business are, left to right, Sidney-Shelby County Chamber of Commerce President Jeff Raible, Casiano’s husband and co-worker Joe Casiano, and Sidney Mayor Mike Barhorst. 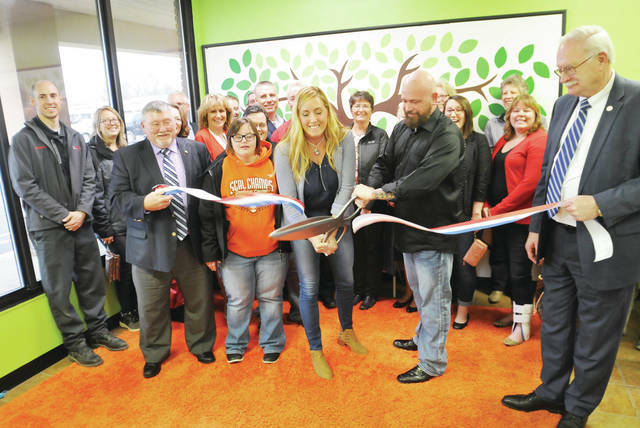 The ribbon-cutting was Thursday, March 21, at the Meal Prep Life kitchen in Sidney.